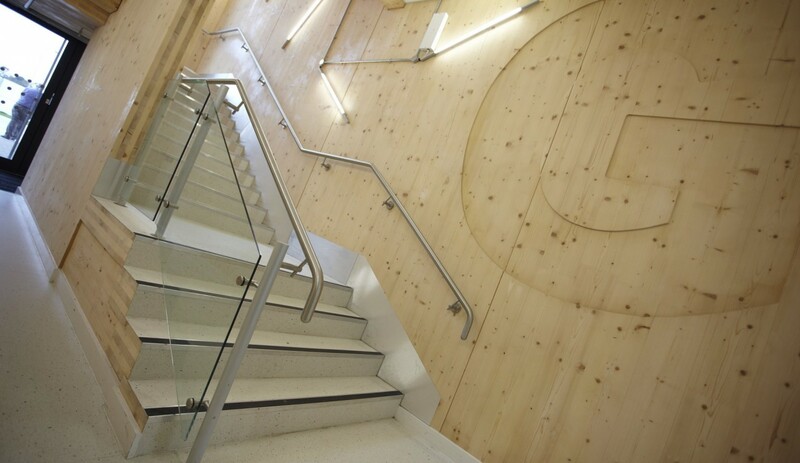 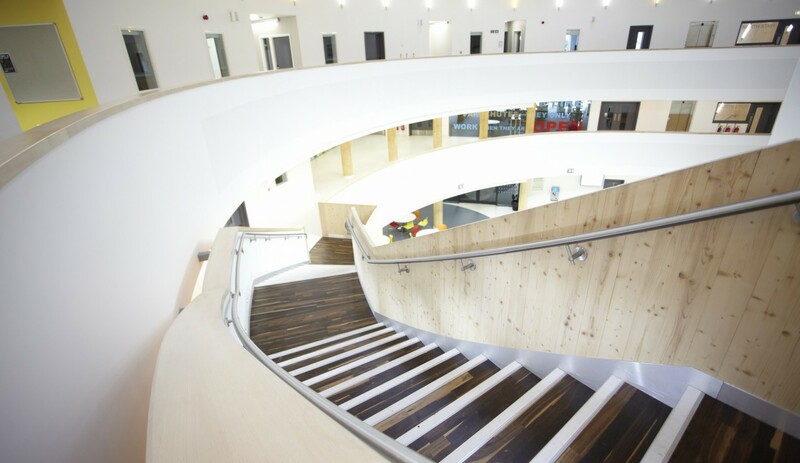 City Academy was a new build project replacing the Earlham High School in Norwich. 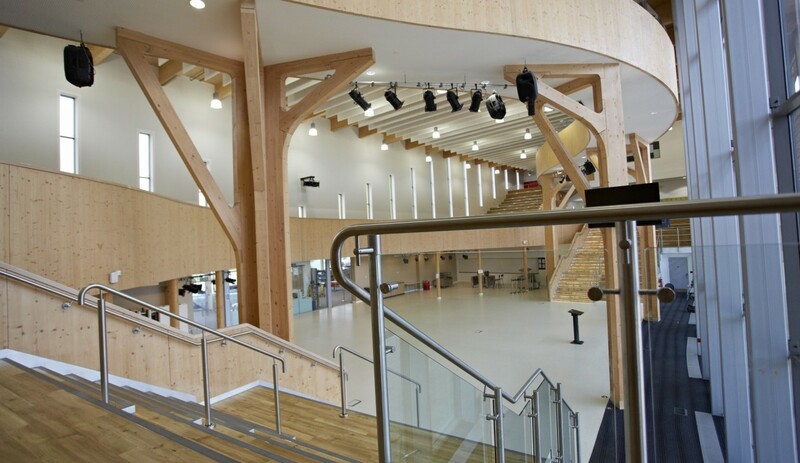 The three-storey building has been constructed with a central steel spine and cross-laminated timber external walls, floor and roof panels. 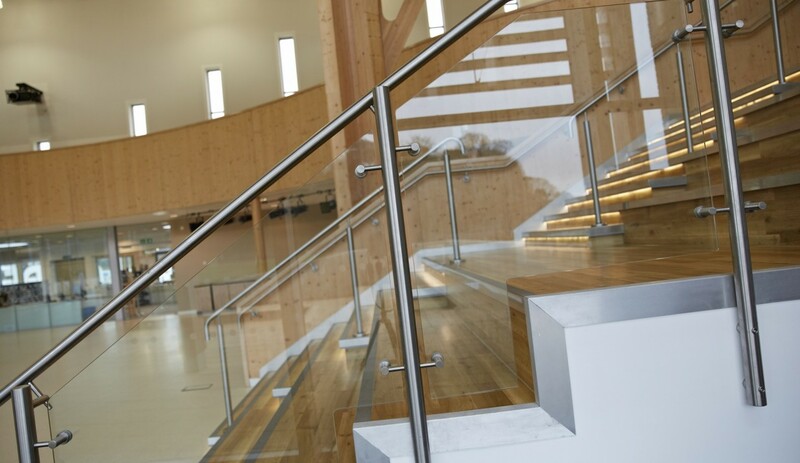 Following our successful completion of the Open Academy, architect Sheppard Robson and main contractor Kier Eastern approached us again to design, supply and install the balustrades on this new academy. 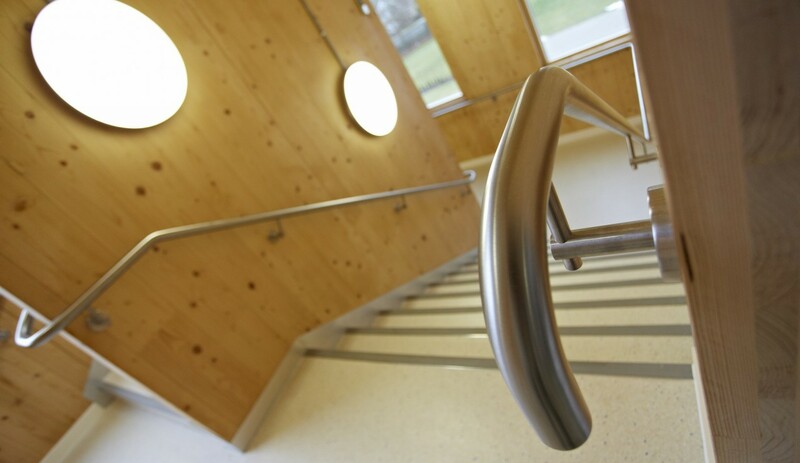 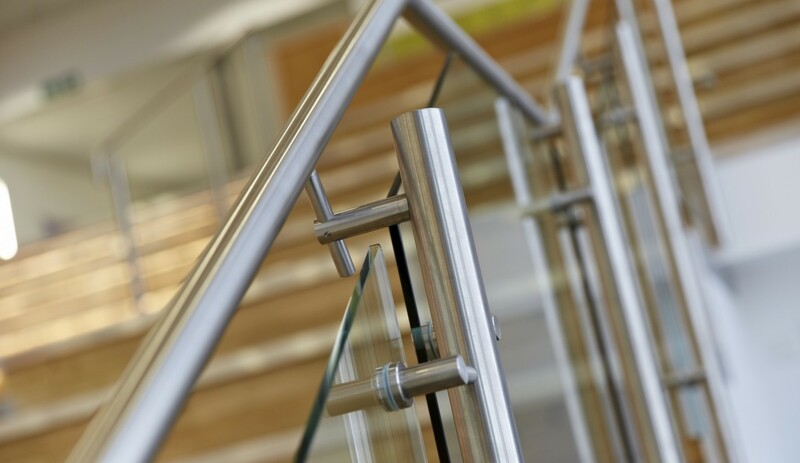 B20 Satin stainless upright posts and handrails with toughened glass infill panels was used internally in the stair areas and central steps . 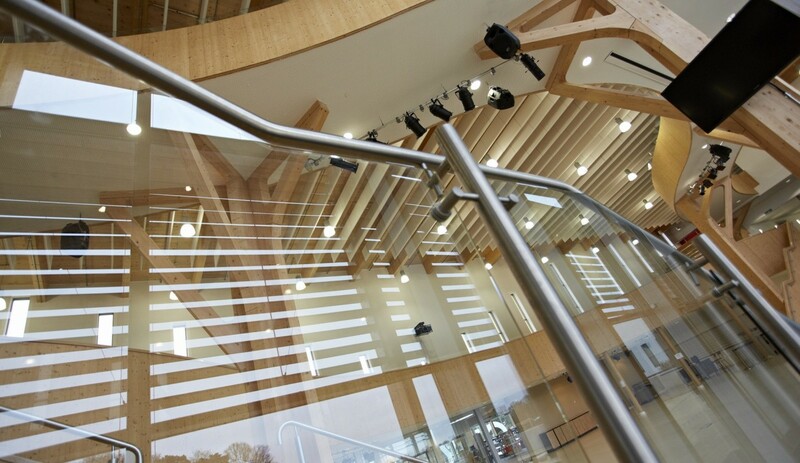 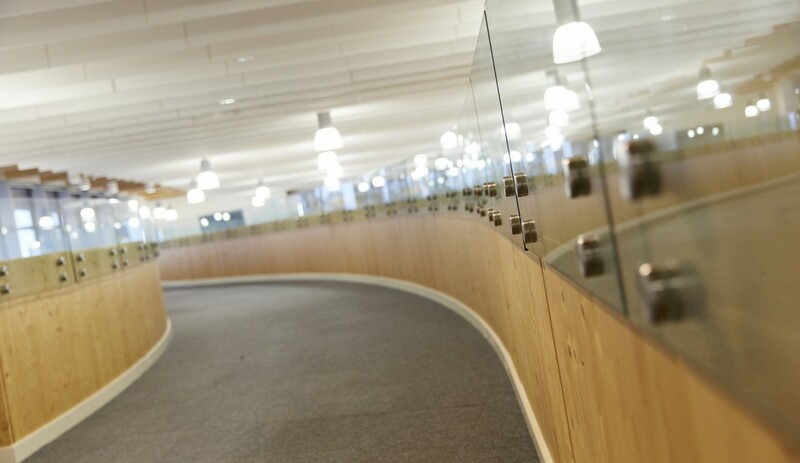 The stunning curved link bridge needed to have the sides raised for additional protection and BA Systems B40 structural toughened glass panels where chosen as the balustrade of choice for its low visual impact. 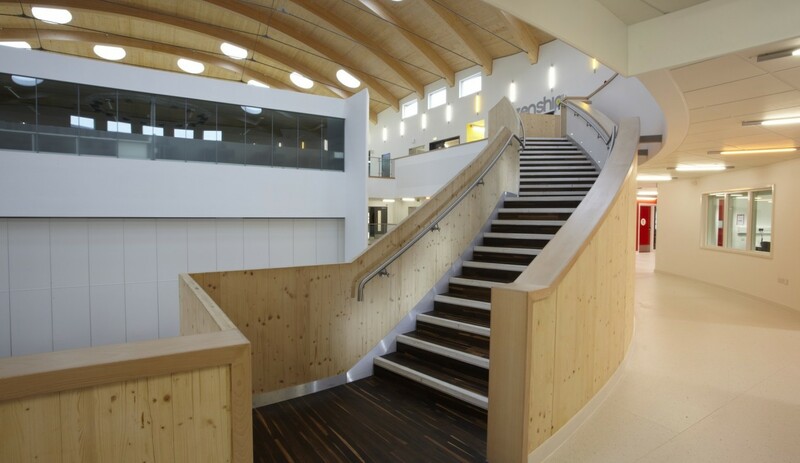 This project was a great success for the main contractor and the school, not only providing a brand new school replacing the worn out 1960’s style building but also providing state-of-the-art sustainability qualities. 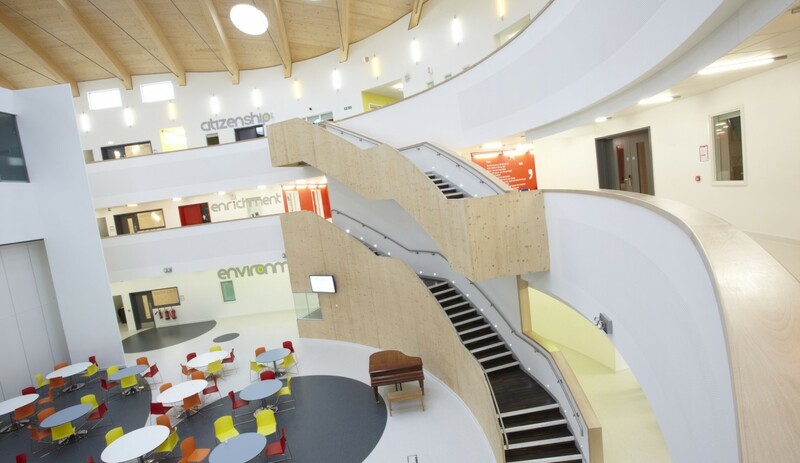 BA Systems were able to be part of this success using well-established sustainable low maintenance materials that also complimented the architecture. 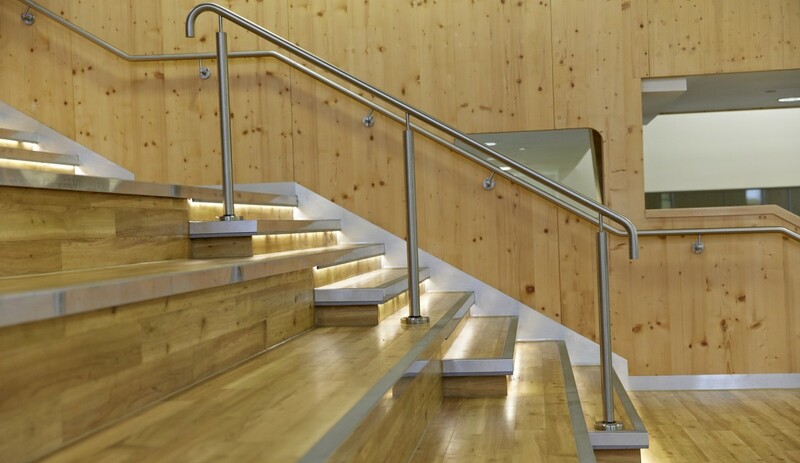 You are the company I would come to 1st every time, especially where we need to sit down and talk with the architect, so as to take the project from the design through to reality. 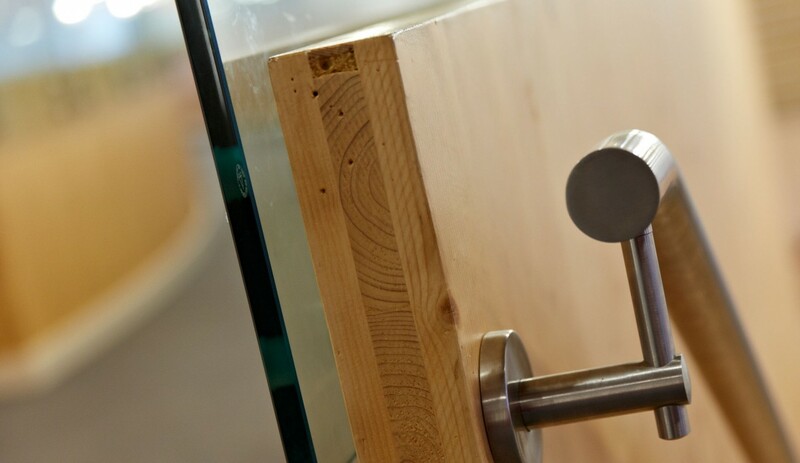 This is not just with regard to VE.